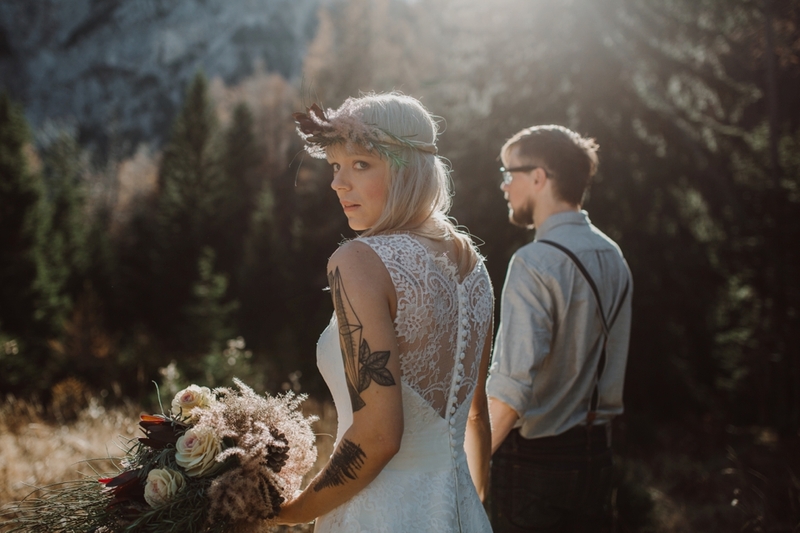 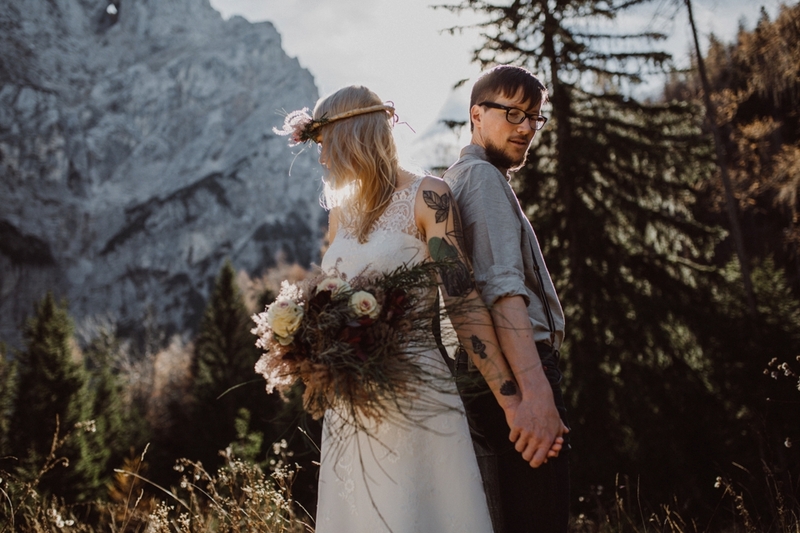 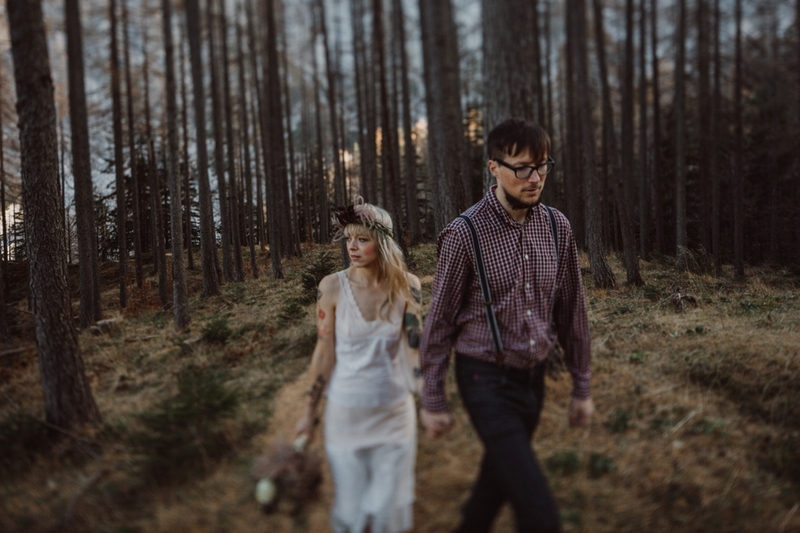 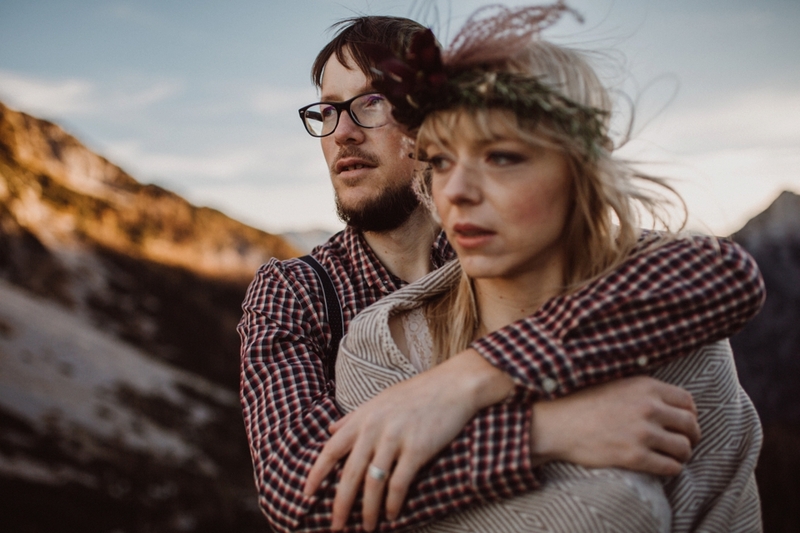 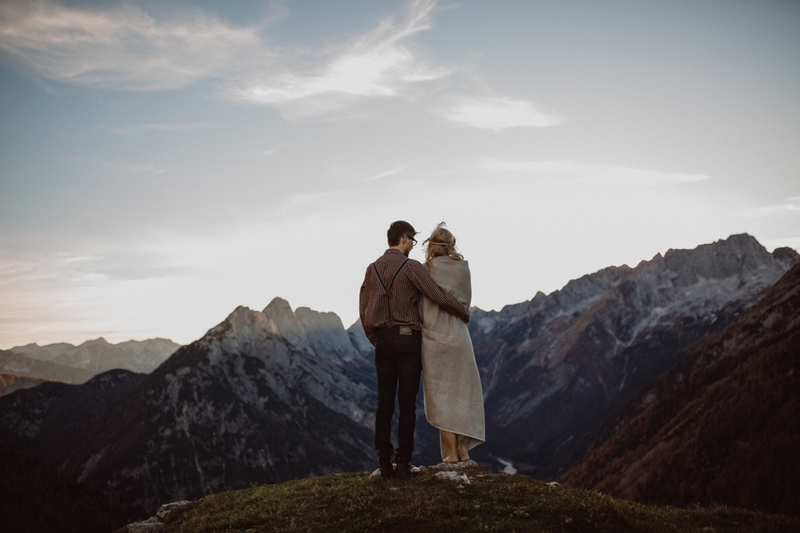 Petra and Jure are actually an already married couple but we crossed roads one day and they said they would really want wedding photos in the mountains since they both adore them and asked me if I would make that happen. 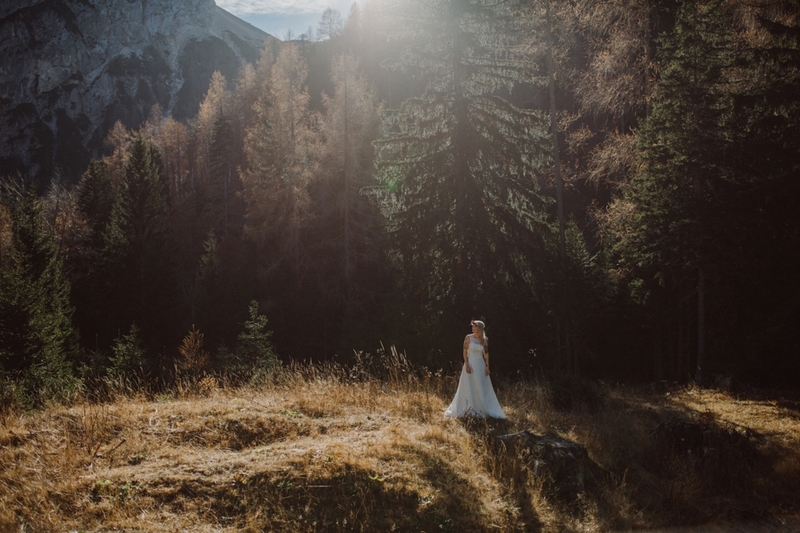 Since I love the mountains too and most of all their special lighting, I did not hesitate to say yes. 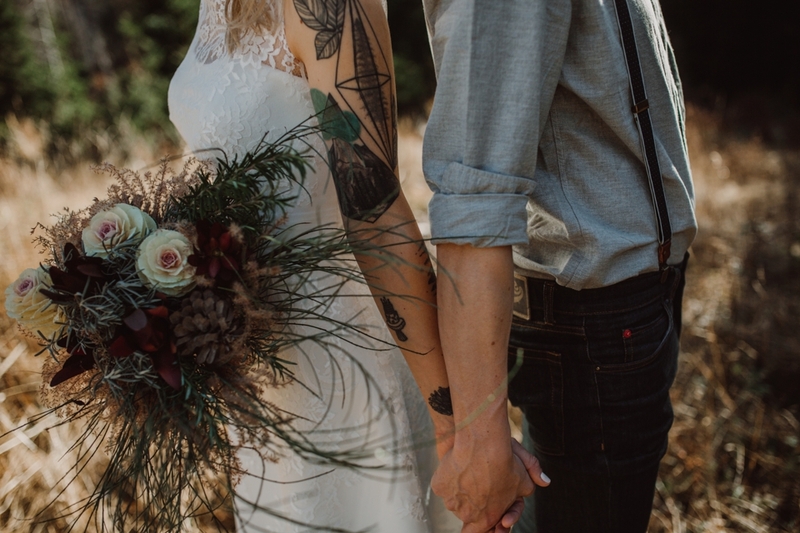 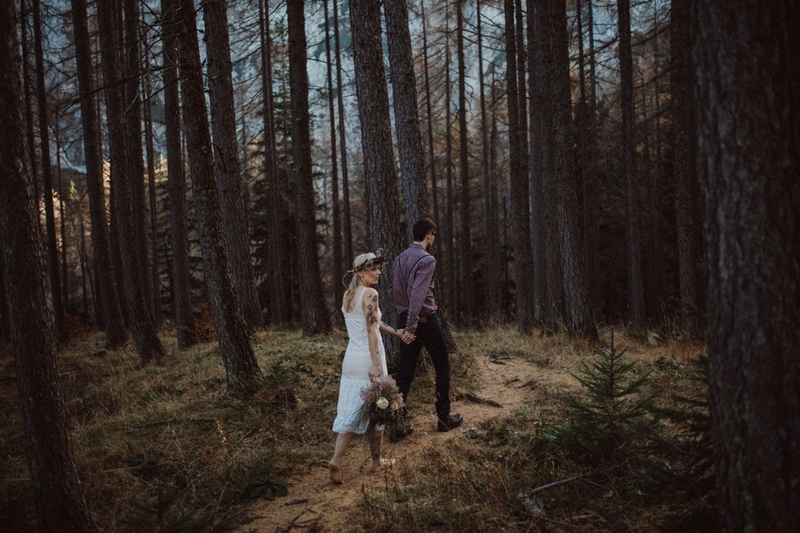 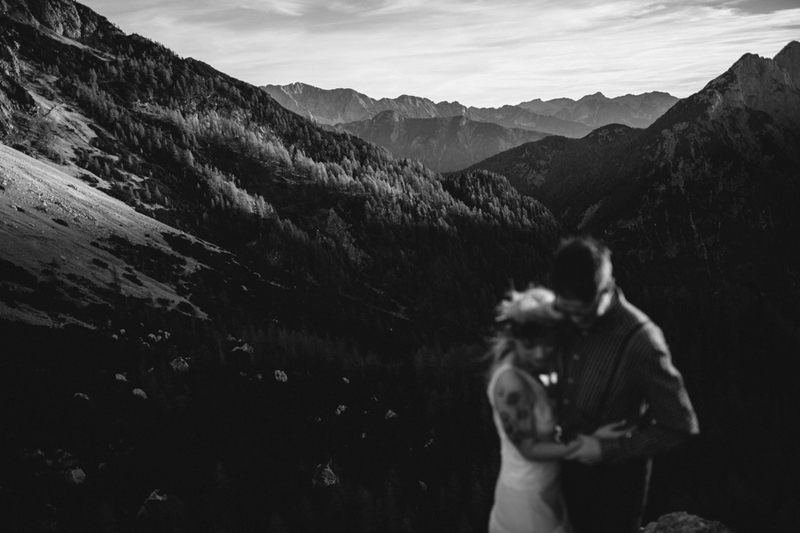 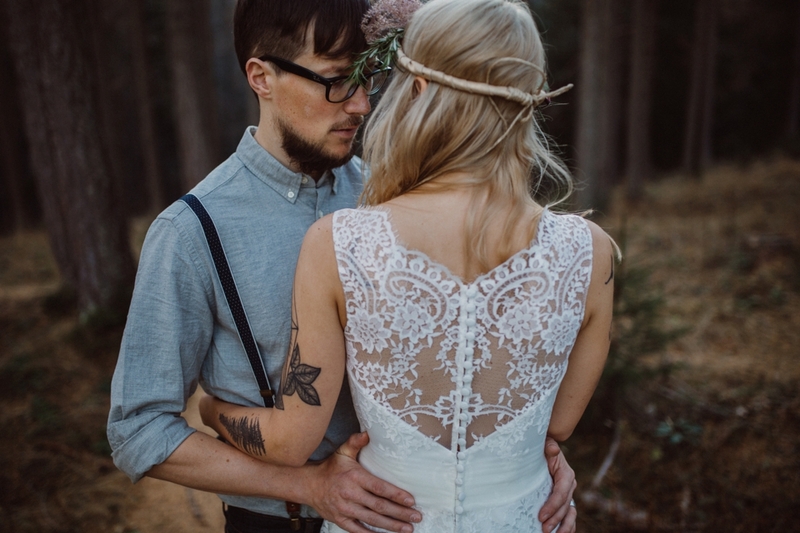 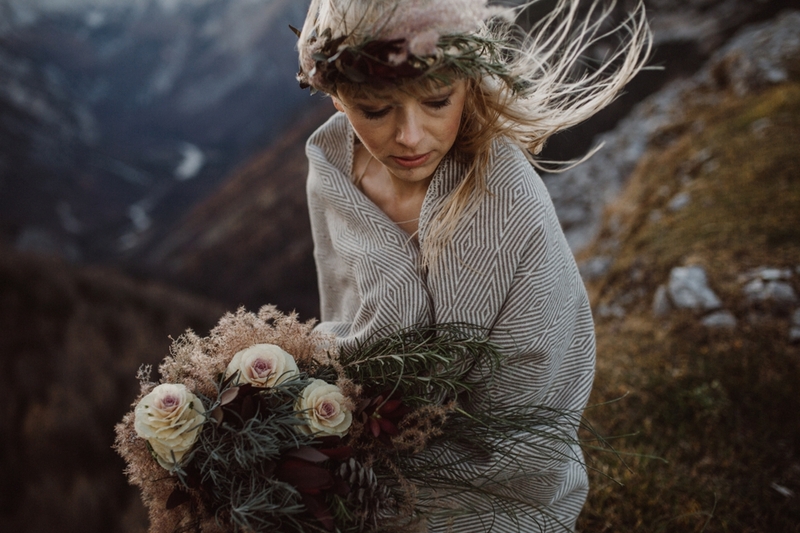 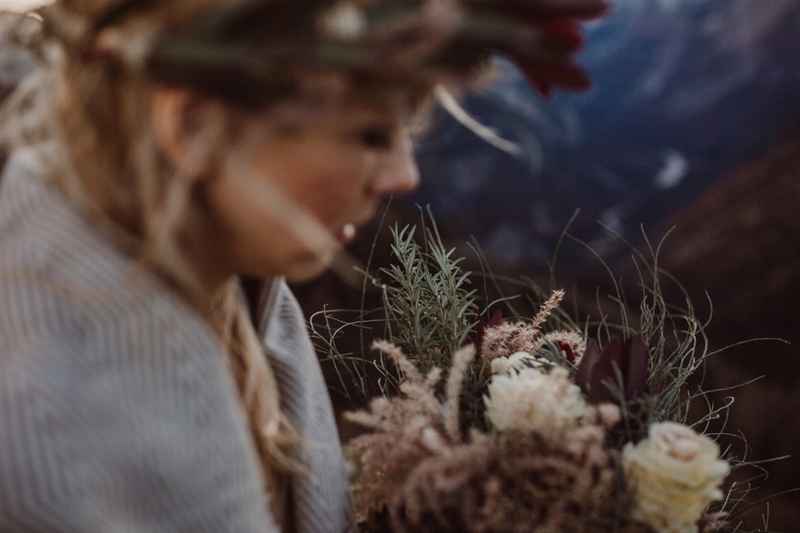 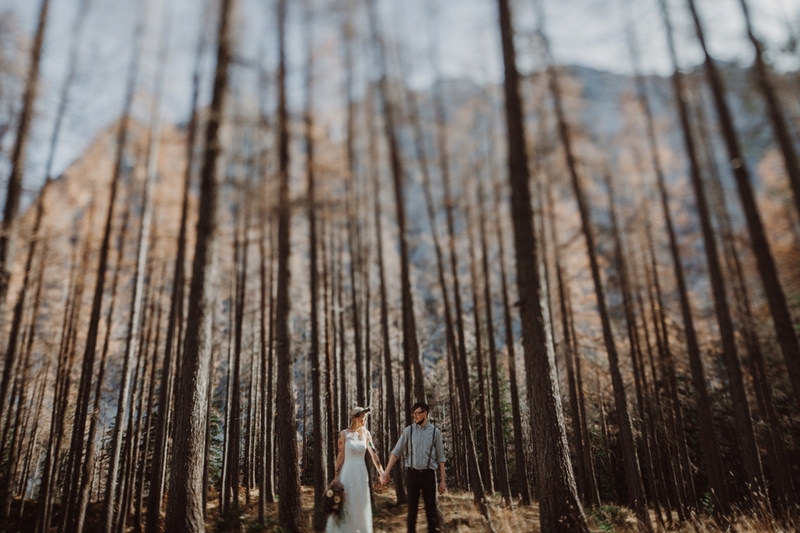 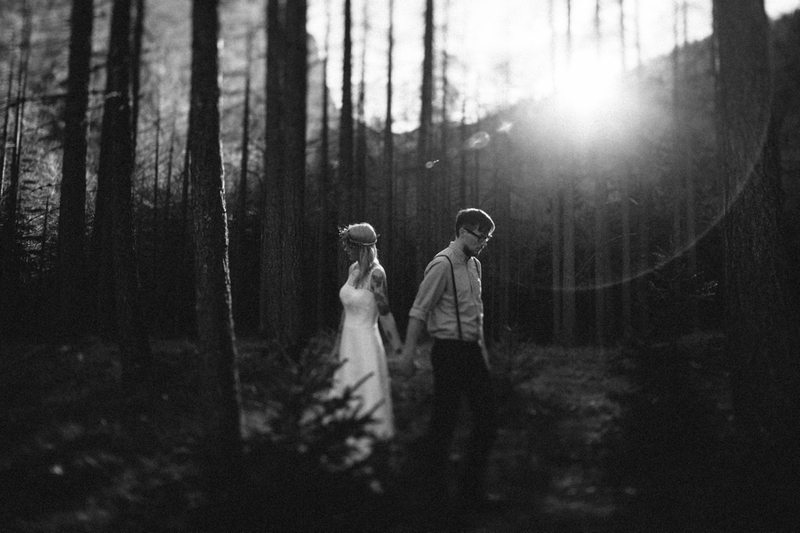 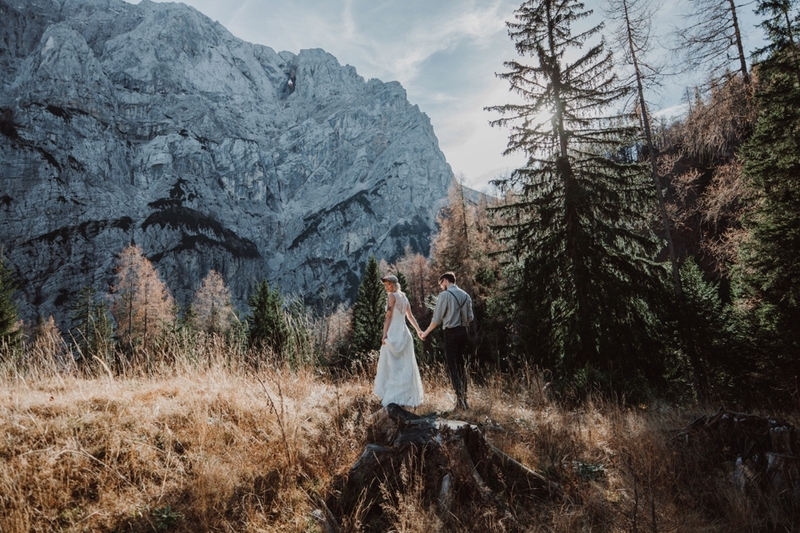 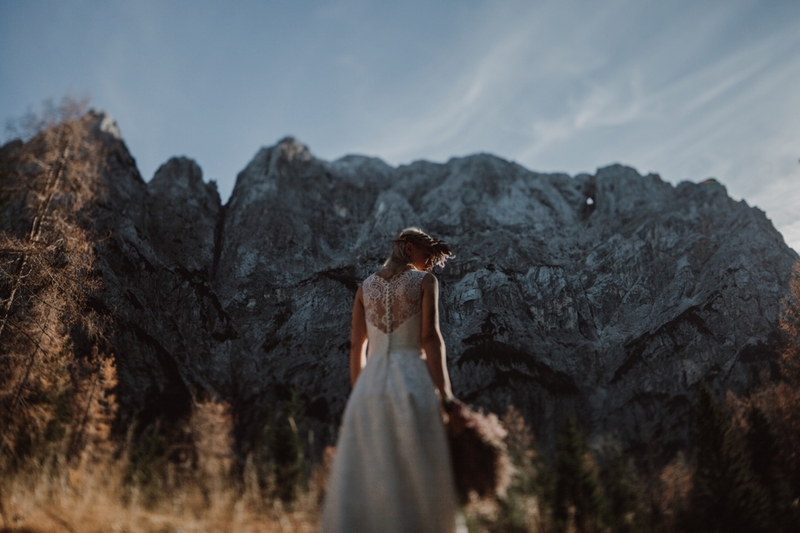 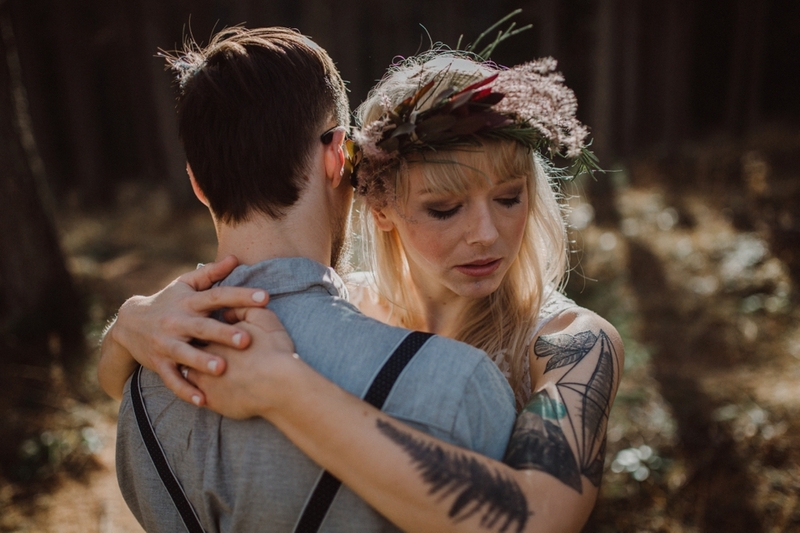 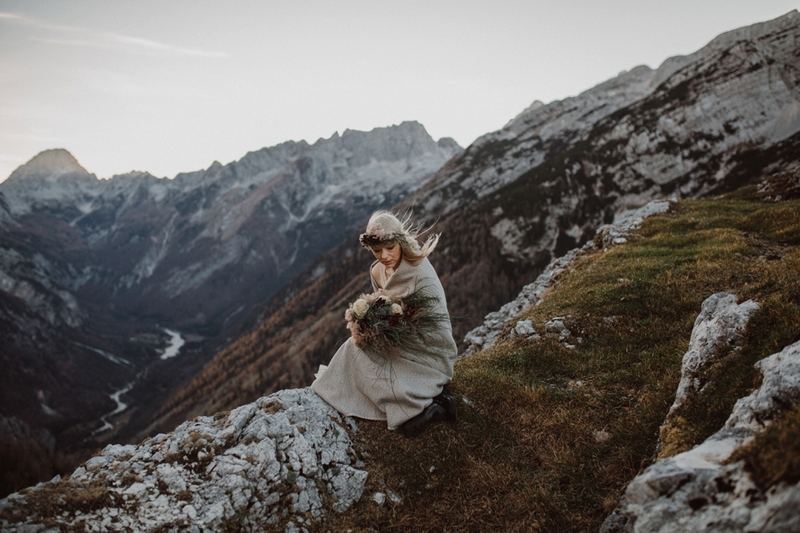 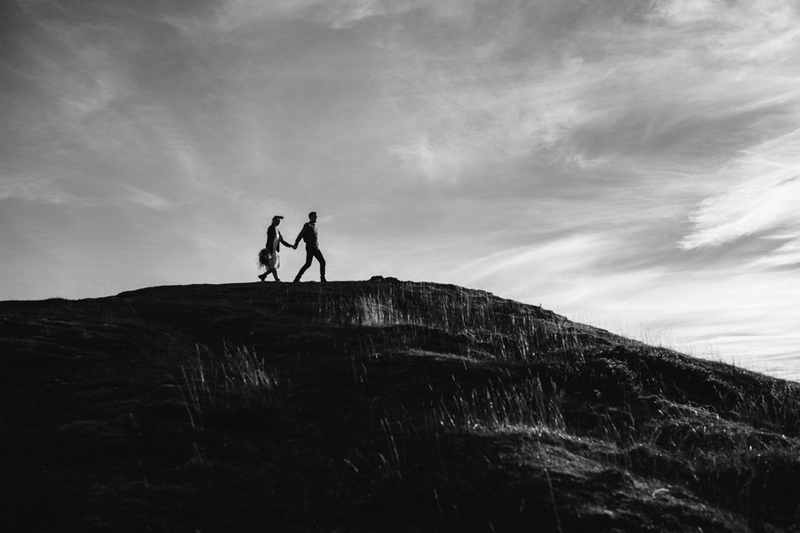 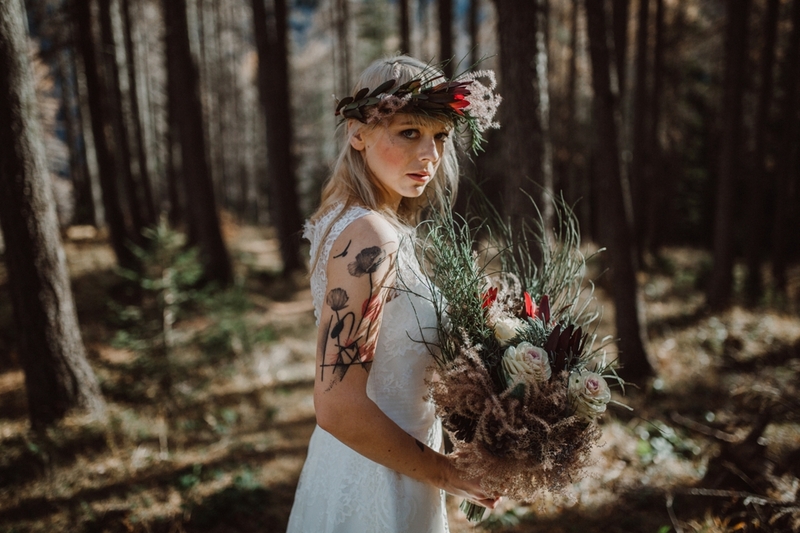 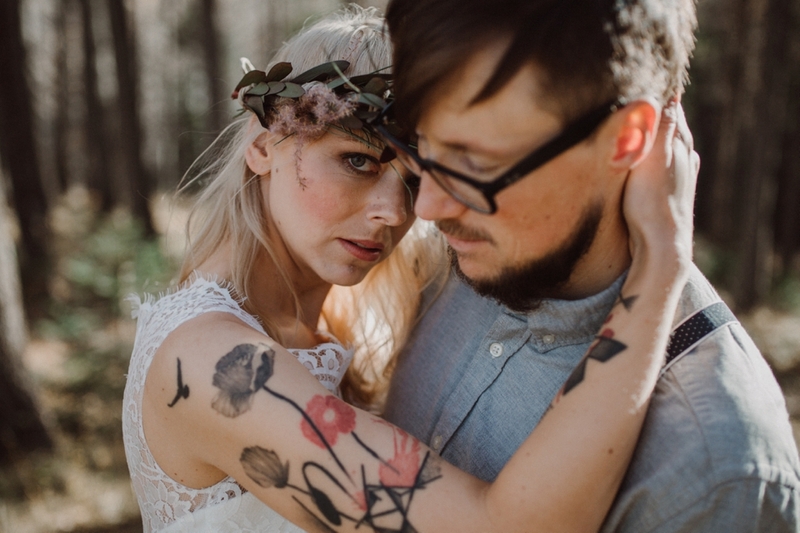 Mountain wedding photography is one of my favorite so I was very eager to start the session. 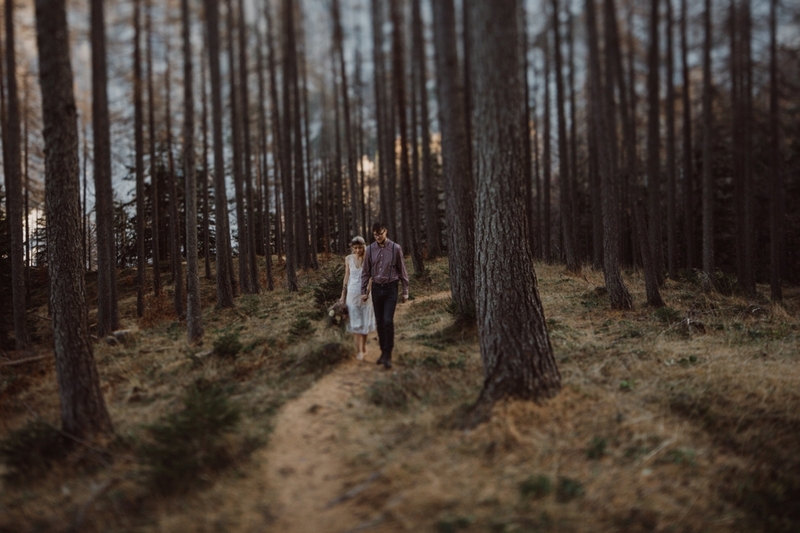 It was November so the weather was anything but warm, but we were determined to make this happen. 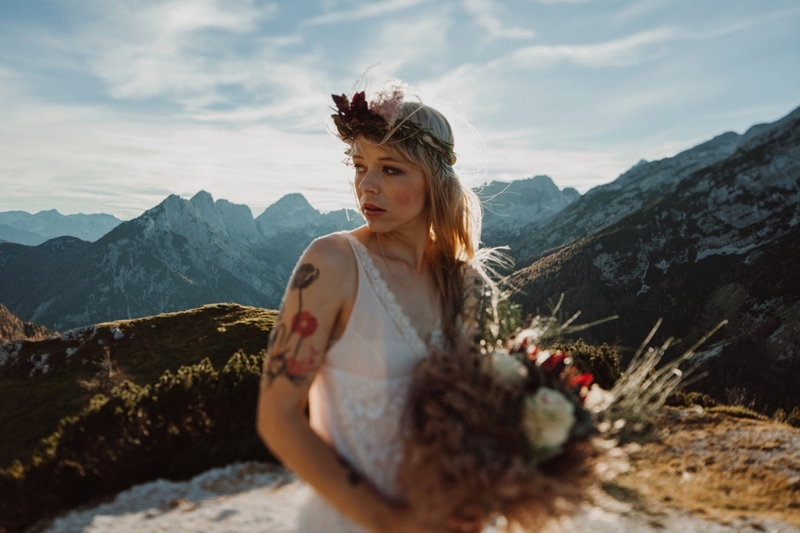 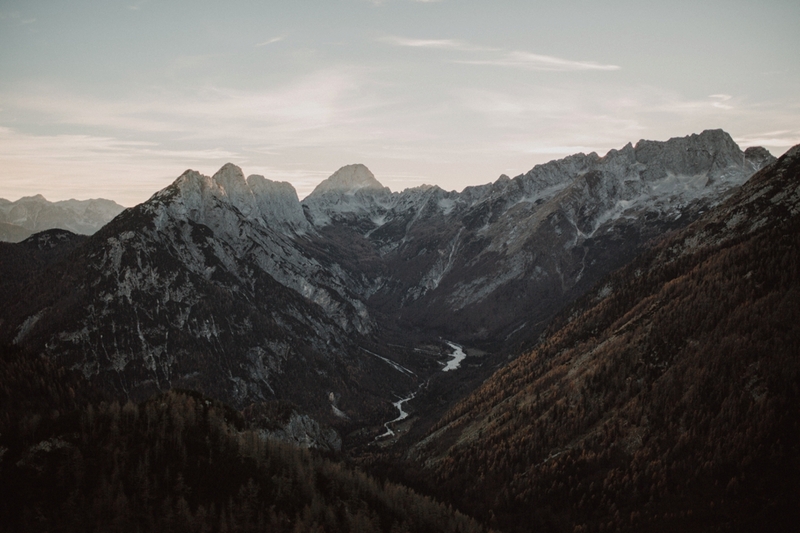 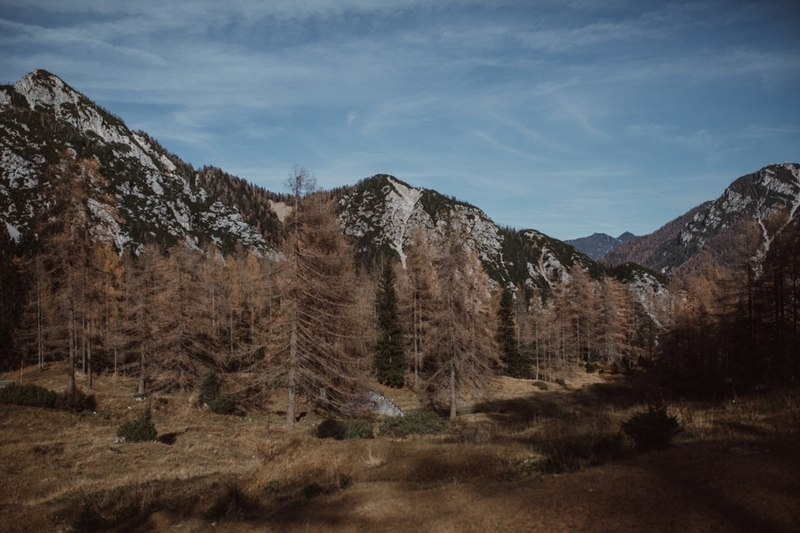 We drove off to Julian Alps, specifically to Vršič and once we arrived to see the beautiful changing light of our setting, it is safe to say we were all a bit fascinated. 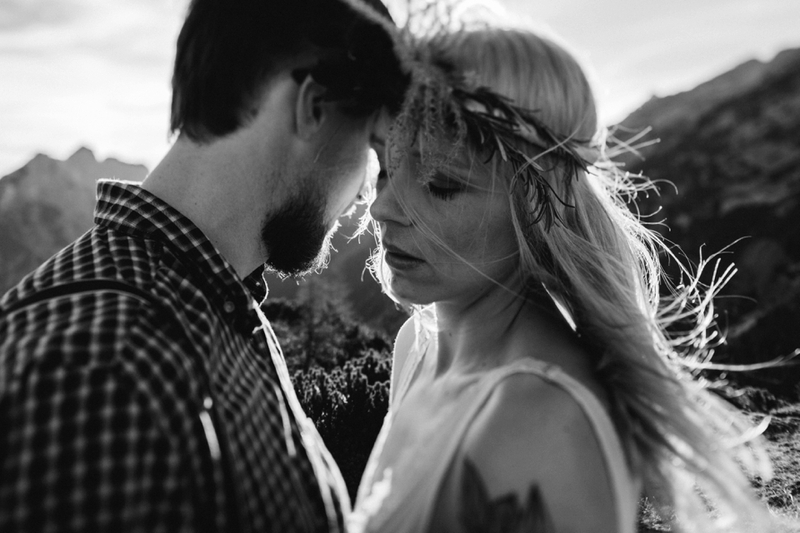 As soon I met Petra and Jure I knew this was going to be done perfectly. 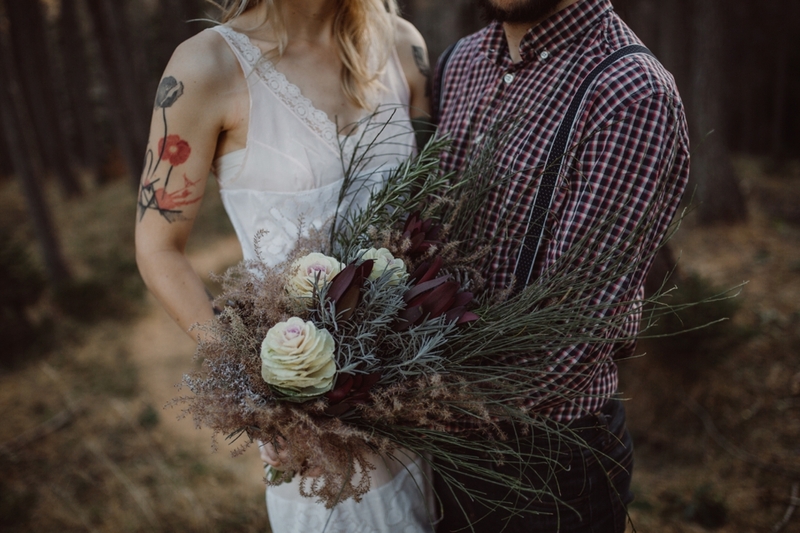 They knew what they wanted and they had no problem with a little cold or wind to make it happen. 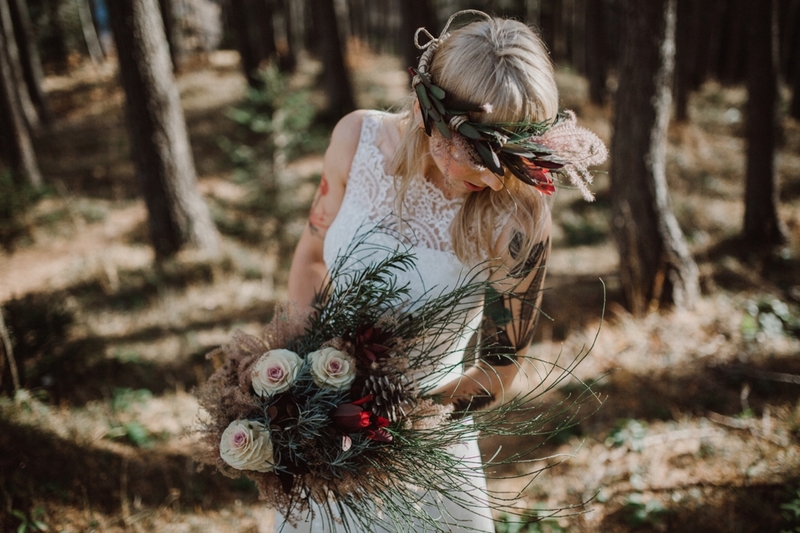 Petra is an artist of her own, she makes extraordinary cakes, that made many weddings and other festive events complete, has a special energy, knows exactly what she wants and Jure completes her in so many ways. 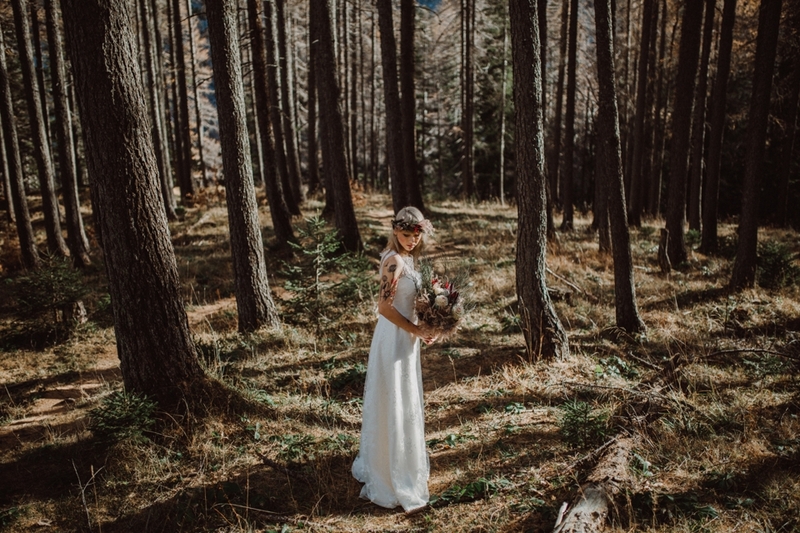 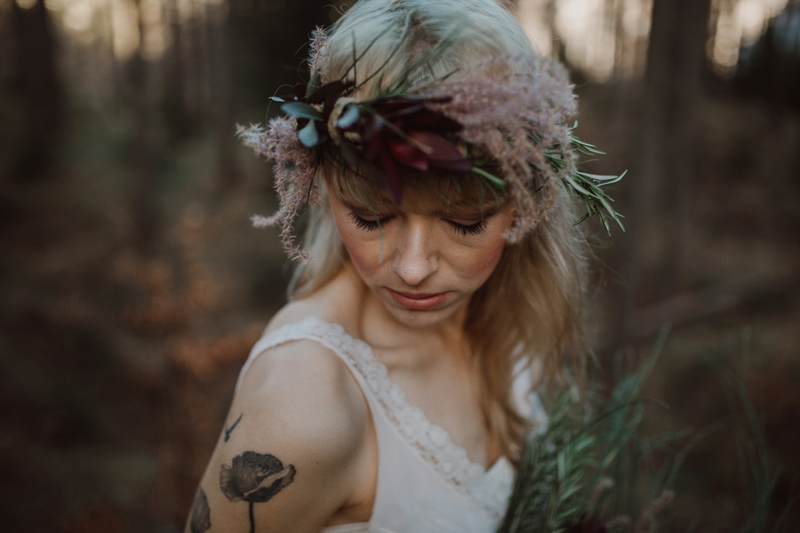 We walked through the woods that already changed the colors, where we made some amazing photos thanks to the wonderful light that found its way to us through the trees. 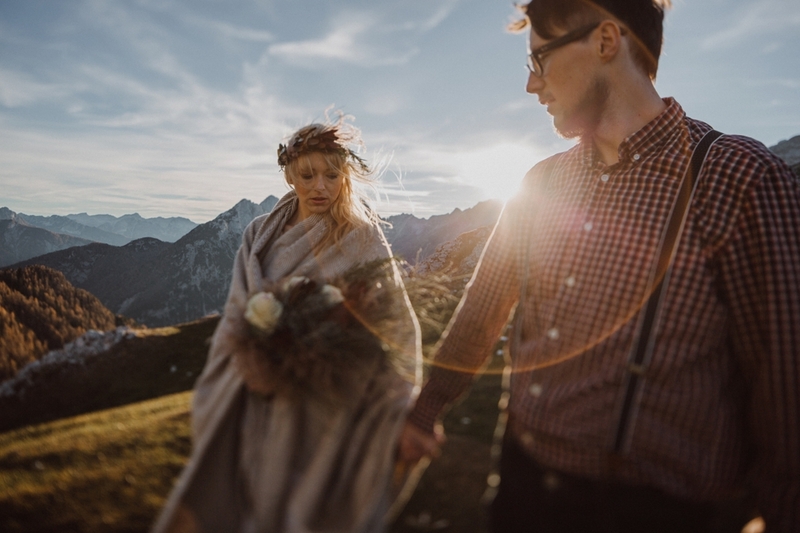 As we came on top, the view was breathtaking, the sunlight was glowing and the wind was just cherry on top. 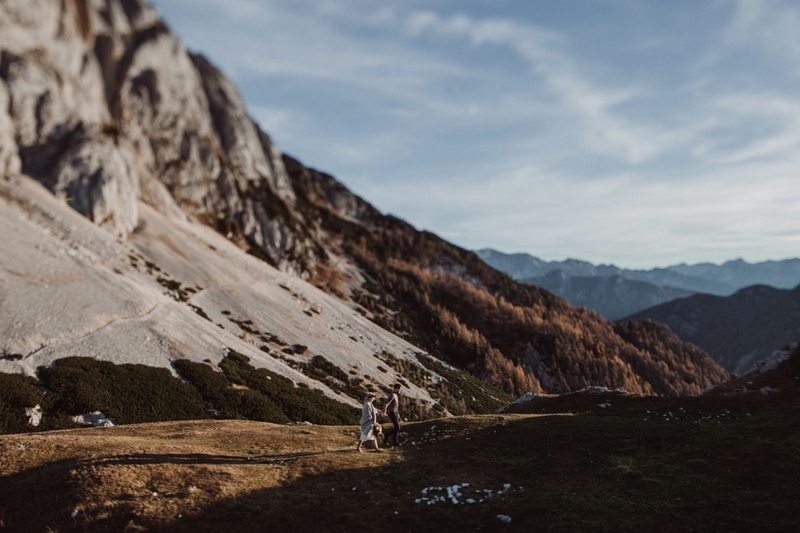 We could not have wished for a better background. 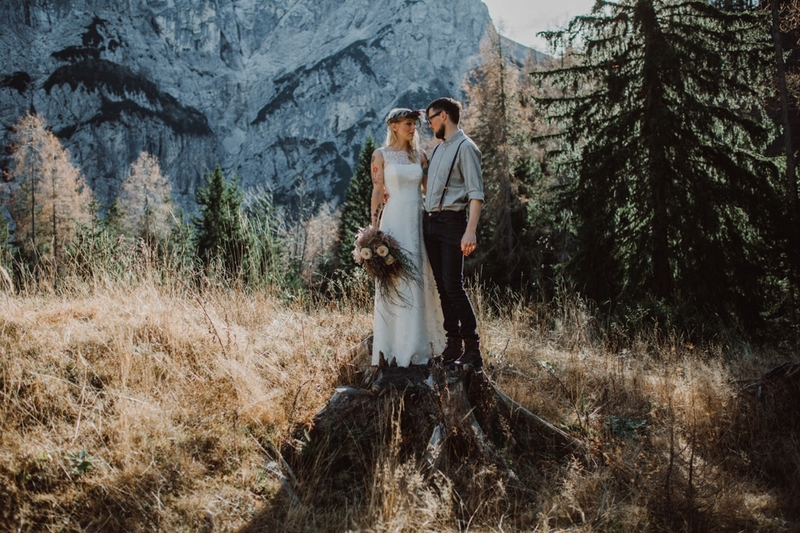 It is safe to say that we all came to love the mountains even more after this day.